Free Holiday Desktop Wallpaper From The LocaCarnivore! We wish you a Happy Holidays, Merry Christmas, and a Happy New Year! 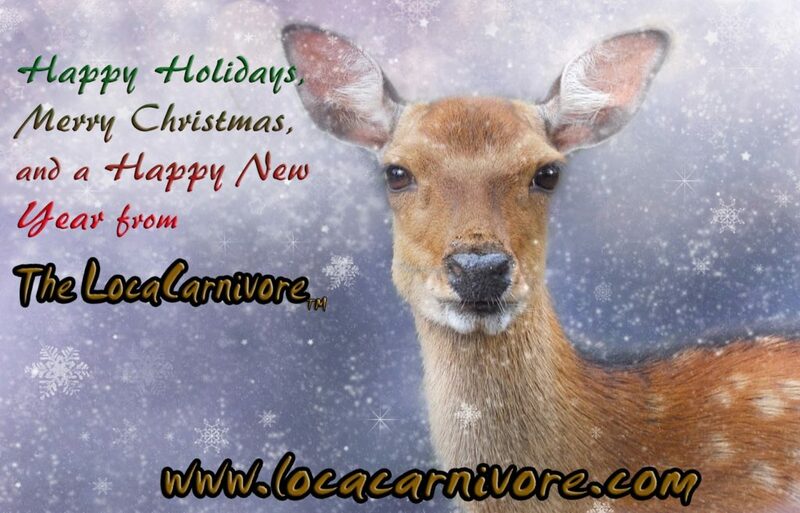 Download and enjoy The LocaCarnivore’s computer desktop wallpaper and show your holiday and hunting spirit. It’s our way of saying thank you from The LocaCarnivore.